The pub forms part of the 650-acre King's Hill business and residential park, which stands on the site of Battle of Britain air station RAF West Malling. At the height of the World War II conflict, 141 squadron flew in Boulton Paul Defiant two-seat fighters, until they were replaced by 66 Squadron with faster Mk1 Spitfires in late 1940. 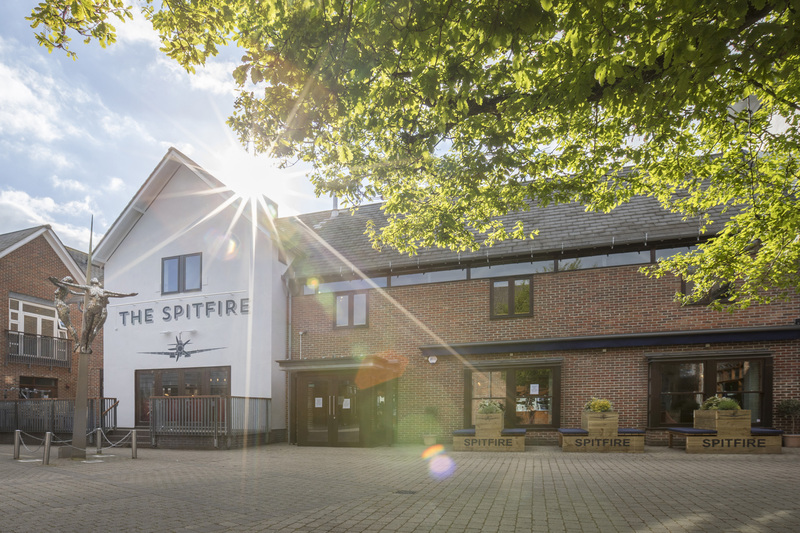 The pub sign here depicts a Mk16 Spitfire built in 1944 as a ground fighter, which flew with 66 Squadron, and can now be seen preserved at the Spitfire and Hurricane Memorial Museum in Manston, near Ramsgate.